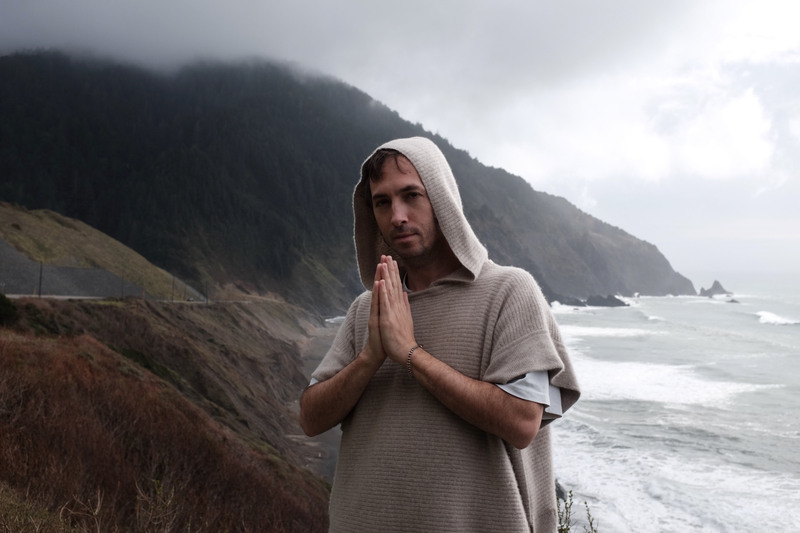 Something from nothing: Tim Hecker says "Konoyo" gave him the opportunity to explore the Japanese concept of negative space. For the first decade of his career, the Canadian composer and sound artist Tim Hecker specialized in transmuting digital audio into thick miasmas of sound that combined orchestral richness with the sensory assault of noise music. But after reaching an apotheosis — and his largest audience to date — with his 2011 album “Ravedeath, 1972,” he decided to dial things down. Rather than commit to a sonic arms race, Hecker chose restraint. His latest album, “Konoyo,” is possibly the most understated thing he has produced to date, and certainly the most unexpected. It’s based on recordings he made in Tokyo last year, working with a small group of musicians specializing in gagaku, Japan’s ancient court music. Hecker discovered the music via a friend, composer Johann Johannsson, who died earlier this year. He traces the album’s origins back to conversations he had with Johannsson a few years ago, exploring notions of negative space and what the press release for “Konoyo” describes as the “increasingly banal density” of modern music. Gagaku was a source of inspiration for 20th-century composers including Olivier Messiaen and Benjamin Britten, but it’s hardly a common reference point for today’s laptop producers. As Hecker discovered, his digital instruments — tuned to 440 Hz, the standard pitch used in Western music — weren’t designed to accommodate the distinctive timbres and tunings of the shō, hichiriki and ryūteki, gagaku’s core wind instruments. He ended up recording at a temple in Tokyo’s western Nerima Ward, with regular collaborator Ben Frost on hand to lend additional engineering support. While he had also worked with musicians on his previous two albums, “Virgins” and “Love Streams,” he says his approach with “Konoyo” was much more open-ended. Although the context was radically different, Miura says the musicians stuck to what he calls a “gagaku policy”: A specific conception of tone and phrasing, informed by millennium-old pieces as well as more recent works by composers such as Toru Takemitsu. “I think it was probably natural for Tim to choose gagaku,” he concludes. “Konoyo” still has some of the enveloping swells and surges that fans of Hecker’s previous work would expect, but the overall sound is more crepuscular than crushing, like mists descending on a valley at dusk. While synthesizers dominate as often as reed instruments, the ornate detail and layering that characterized much of his earlier work is absent. He contrasts it with the “ADHD power-pop ambience” of 2013’s “Virgins,” ostensibly his first attempt at reining in the largesse. The album also gave Hecker an opportunity to explore his interest in ma, or negative space, a key concept in Japanese aesthetics that doesn’t have a direct corollary in the West. While it’s easy to understand in visual terms — think of the famous rock garden at Kyoto’s Ryoanji Temple or the evocative emptiness of traditional scroll paintings — it can be harder to grasp when applied to music. “It’s much richer than just silence,” he says. “It can be inversions, it can be a bunch of things — it can be pauses, it can be related to velocity. I think about it in terms of shadows, in the architectural sense of it — empty rooms, the way light crests on certain angles and things like that — more than I think of silence. In the same way that he released a companion EP to “Ravedeath, 1972,” consisting of sketches for that album, Hecker suggests there’s more where “Konoyo” came from. Given the malleability of digital audio, it’s tempting to question the need to fly halfway across the world to capture sounds that could theoretically be created from scratch. Hecker talks about how “you can literally do anything with sound now,” yet his recent work has placed increasing importance on getting other people — and places — involved in the process. 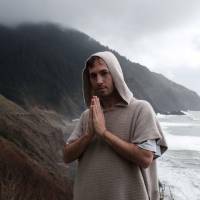 He’ll be heading on tour with the musicians who played on the record, starting with a show at Tokyo’s WWW X next week, in what he says will be a departure from “my normal onslaught-style performance.” But Hecker has decided to forego the publicity blitz that typically surrounds an album launch — even the rollout has gone minimal. “Konoyo” is released on Friday. 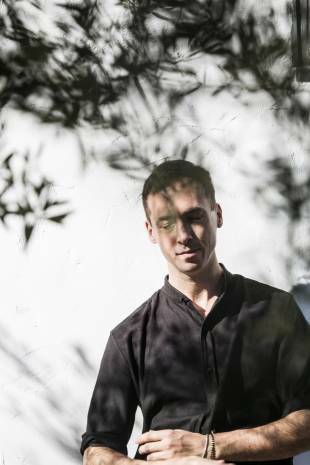 Tim Hecker plays with the Konoyo Ensemble at WWW X in Shibuya Ward, Tokyo, on Oct. 2 (8 p.m. start; ¥5,000 in advance; 03-5458-7688). For more information, visit www.sunblind.net.